Always cautious and wanting to be ahead of each season, my husband has a set routine he follows to make sure that the house is ready for winter. Back in October he turned on the switch for the boiler to make sure it was working properly. No sense in waiting for the first cold day and then be surprised if a malfunction occurs and no heat is supplied. This also meant buying a new filter and checking to see if the previous one needed to be changed. It goes without saying that it is best to change the filter every season and to keep a spare one on hand. Remember that each boiler has a different size filter and when you need a new one the store might not have your required filter in stock. Have an extra filter on hand for when it is needed. Everybody likes to keep their house at different temperatures both during the day and at night time. Saving on fuel costs can be done easily by wearing a sweater during the day. Some people want to walk around the house in tee shirt and shorts, even during the winter and this can mean very high heating bills that are unnecessary and a waste of fuel. On the other hand, it is not wise to keep the house so cold that there might be frozen pipes due to these low temperatures. 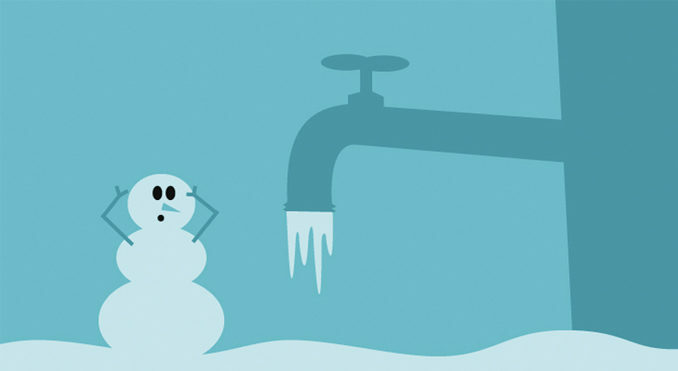 How do you prevent your pipes from freezing and breaking in the winter? 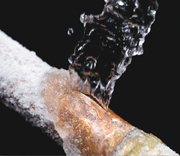 Not only cold temperatures, but wind drafts can cause pipes to freeze. You can just imagine what a mess and how costly this incident will be to repair, especially calling a service company to do this in the middle of winter. The expense to replace broken pipes could be thousands of dollars and much more than if the money had been spent more wisely on extra fuel keeping the house warmer. It is suggested by fuel companies that the house be kept at temperatures at least 68 degrees or higher, even if you are leaving the house for an extended period of time. This also depends on how well a house is insulated and the age of the house. For our home, built in the early 1920’s, we had to insulate or add extra insulation to most of the rooms. Creaky old wooden windows were replaced with double pane better insulated ones soon after we bought the house. What a difference this made on cutting down drafts when winter winds were blowing! Another way to keep the pipes in your house warm is to open the cabinet doors below the sinks to allow heat from the home to circulate, thereby keeping the pipes warmer. This is especially important if you keep your heat lower than the suggested 68 degrees. 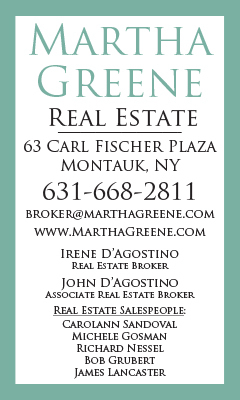 In extremely cold weather, allow the taps to drip a tiny bit in order to keep water moving and minimize freezing. Be sure that the sink drain or stopper is open. If the pipes are beginning to freeze, the first sign will be the water dripping will stop and this means trouble. Be sure to check each faucets for water flow and pressure before you go to bed and then first thing when you wake up. Make sure you and other family members know the location of the main water valve and the valve on your water heater in case a break occurs. If a break occurs in a hot water pipe, the valve on top of the water heater should be closed. If your washing machine is in an unheated area, shut off water supply valves to your washing machine in extremely cold weather. And lastly, keep the number of your boiler service repair person and plumber handy, clearly posted…just in case.